The #HappstersGetHappier January Happiness challenge is officially here! Want to join us? Jan 1-7: KINDNESS: Complete 3 random acts of kindness this week. Jan 8-14: CONNECTION: Reach out to 3 different friends and/or family members this week. Jan 15-21: GRATITUDE: Write down 3 things you’re grateful for each day this week. Jan 22-28: STILLNESS: Meditate 3 days this week. 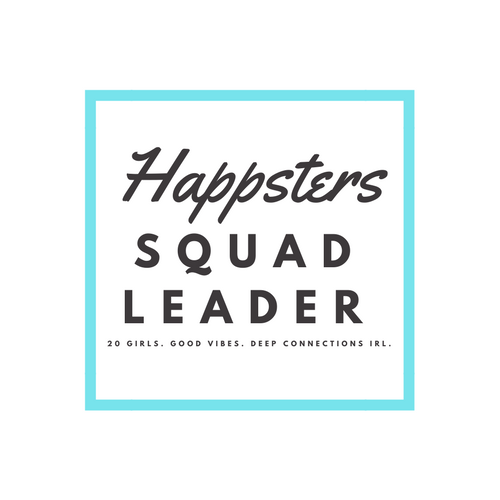 Take the challenge with us by joining the “Happsters – The Happiness Group” Facebook group here. Such a great idea! Going to do this!